← Can I use docPrint printer to save paper and ink? 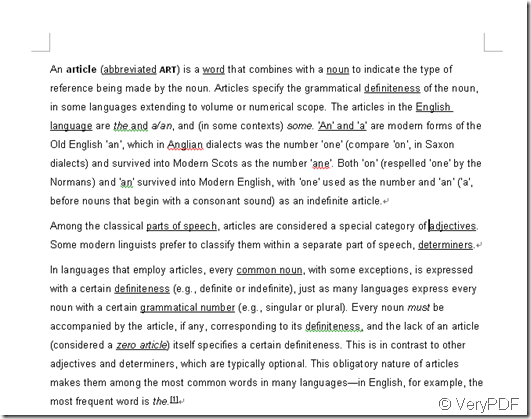 How do I print Word document to PDF file? 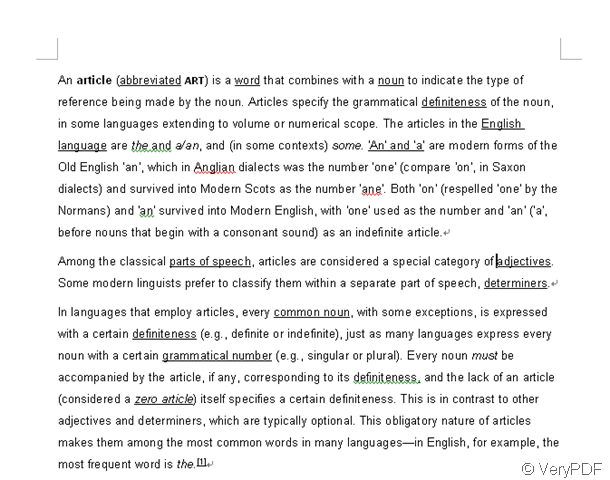 When a writer writes a beautiful article which cost him a lot of time and energy,he must want to show it to everyone to share.The best way in nowadays is updating the word document to the website.But there is a problem that the article may be copied by others if being updated and the copyright maybe a complex problem needs to be solved. Try to think about it,if we convert the word document to a new format which can’t be copied freely,it must be great.As we know,PDF is a kind of file which can be read but can not be changed freely and maybe every computer has a PDF reader now.So we can try to convert word to pdf. 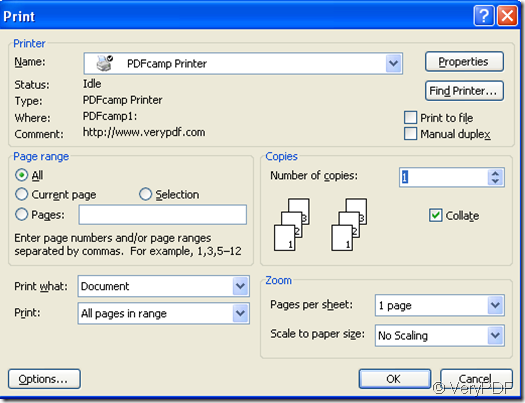 First,we should load a software named PDFcamp Printer on this website http://www.verypdf.com/pdfcamp/pdfcamp_setup.exe. Install it and you’d better select it as your default printer. 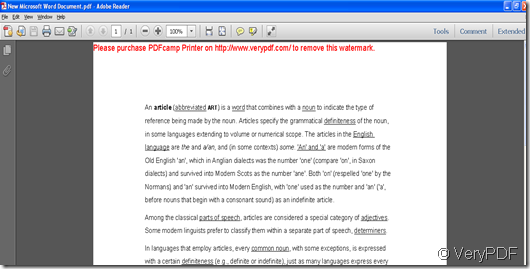 Open the word format article and begin to covert word to pdf. There are three ways to print. 1.You can click “file”—“print”,then you can see the print window.You can set many parameter such as the page size,standard,email,compression etc by clicking properties. 2.Click the button on the tool bar and the popping window will let you to name and save the file,which is convenient but can not set parameter. 3.Use hot key “ctrl”+”p”,it will also come out the print window. When everything is done,you can click “ok”,and word to pdf will start. HTML to PDF conversion, which software is better for you? 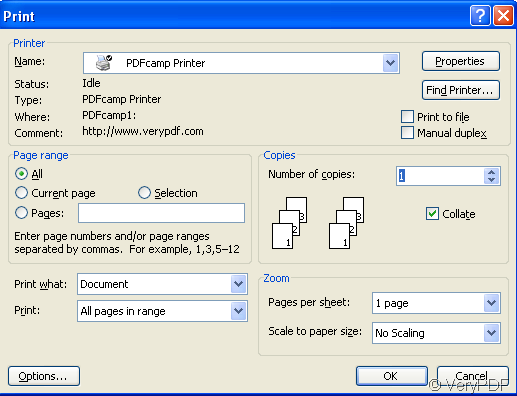 I want to print my ppt document to PDF file by using n-up printing,how to do?